BookBrunch has announced the shortlist for the inaugural Selfies Award for a self-published novel. The winner will receive £1,500 and a self-publishing package for her next book - it is an all-women shortlist - from award sponsor IngramSpark; and fellow sponsor Bookollective will offer a bespoke book cover design by award-winning designer Aimee Coveney, as well as a book publicity campaign worth £1,000. The award also runs in association with the London Book Fair (LBF). 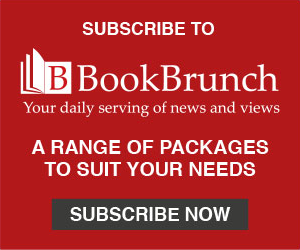 Jo Henry, BookBrunch md, said: "The judges who have drawn up this shortlist feel privileged to have read some exceptional works of self-published fiction from a very wide range of genres. The shortlist we've come up with contains works that can confidently stand against the very best fiction being published in the UK today. All eight of the shortlisted authors are women, hailing from all round the UK - with one author originally from Belgium and another from Holland - and their books range from chic lit to historical crime fiction. We're now on tenterhooks to discover who will be crowned the inaugural Selfies 2019 author of the year at the London Book Fair!" Henry will chair the final judging panel, which will also include literary agents Kate Barker and Annette Crossland, Ingram's Robin Cutler, and LBF's Emily Laidlaw. They will announce their winner at Author HQ at LBF on Tuesday 12 March. When Hollie bumps into Rory on Camden High Street on a wet day in February, it seems that her long held secret is about to be uncovered. They were lovers, years ago, until Rory took off to find his brilliant career, leaving Hollie stranded in the world of single parenthood, struggling to make ends meet. This is Anita's second novel; she has a background as a dancer and filmmaker and is now a full-time writer and creative writing tutor, working within local communities, schools and libraries across Essex and London. For the families of the victims of the St Botolph and Old Billingsgate disaster, the undoing of a miscarriage of justice should be a cause for rejoicing. For more than 13 years, the search for truth has eaten up everything. Marriages, families, health, careers and finances. Jane Davis is the author of eight novels; her first novel won the Daily Mail First Novel Award, while her seventh was Writing magazine's Self-Published Book of the Year 2016. Jane's favourite description of fiction is "made-up truth". Predators hunt the vulnerable, those alone, at the edge of the herd. As a junior Detective Constable, Ronald Carlson pursued a serial killer who preyed on the working girls of Lytham. Now, 20 years later, is the same killer back? Or is it a copycat? Having moved to the outskirts of Ipswich for her job in telecommunications, Caroline Goldsworthy used the events of 2006 as the inspiration for Tangent, her debut novel and the first of the DCI Ronnie Carlson series of crime thrillers. NYPD detective Brad Moretti's life is in tatters. Vivienne Aubert seems to have it all - a Hollywood career, supermodel looks, and a director husband - and yet a one-night-stand with rising superstar Damien Thomas makes her embark on a ruthless quest to make him hers. Damien's chance encounter with Brad sparks a prompt and rapidly growing affinity - which Viv is determined to terminate. Can Brad head off her delusional desires before she destroys his newfound happiness? Mel Gough writes (mostly) M/M romance, usually with a twist on the hurt/comfort trope, and so far has self-published one novel and one novella. Rose Welford, the wife of a bootmaker, is smothered in her bed in the summer of 1828. Her husband quickly confesses to the crime, claiming that a message from beyond the grave told him to do it. At ever more popular gatherings in fields, factories and fine houses, a charismatic preacher with a history of religious offences seems to be at the heart of it all - but who, and what, can be believed when fortunes are at stake? Susan Grossey worked in the world of anti-money laundering, advising organisations such as banks and casinos on how to avoid criminal money. Having written more than 20 books about money laundering, she decided the time had come to turn to historical financial crime. Ben Goddard is an embarrassment - as a cyclist, as an athlete, as a human being. And he knows it. Exposed by a positive drugs test, he quits professional cycling, sticks a pin in a map, and sets out to build a new life in a town where nobody knows who he is or what he's done. But when the first person he meets turns out to be a cycling fan, he finds out that it's not going to be quite as easy as that. Kathleen Jowitt lives in Cambridge, works in London, and writes on the train. Her debut novel, Speak Its Name, was the first self-published book ever shortlisted for the Betty Trask Prize. Heleen Kist was born in the Netherlands, but now lives in Glasgow. Her debut novel In Servitude was inspired by Heleen's expertise in small business finance mixed with her friend's courageous idea to open a vegan cafe in a city renowned for its dubious diet. 1881, Sussex, and a reluctant lady sleuth finds she's investigating her own family. Lady Helena Scott-De Quincy's marriage gave new purpose to a life almost destroyed by the death of her first love. Such a shame their union wasn't blessed by children... but she is content with her quiet country life until her husband is found dead in the river overlooked by their grand baroque mansion. British-born Jane Steen has spent more than half her life in Belgium and the United States, but has now returned to England, and is the author of the House of Closed Doors series and the Scott-De Quincy Mysteries. The Selfies have been established to recognise and reward the fantastic work being done by the many highly dedicated self-published authors working in the UK today. The sector is booming: Nielsen's Books & Consumers survey reports that self-published books accounted for 6.2% of all consumer book sales in the 12 months to October 2018, up from 5.5% in the year to October 2016. And self-published titles take an even larger share of ebook sales: 18.4% at the latest count.